Regarded as the “father of the Swedish police novel”, Vic Suneson (pen name for Sune Lundquist, 1911-1975) published his first five novels in the Gebers kriminalserie, a series devoted to Crime Fiction. 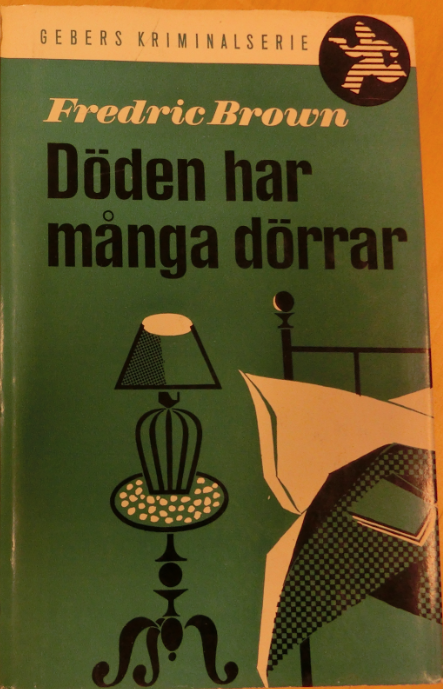 This series, which had been launched by Geber, in Stockholm, in 1947, published both Swedish and translated authors. Suneson’s first novel Mord kring Maud was published in 1948 and precedes immediately in the Series Cornell Woolrich’s, Brud i svart (The Bride Wore Black), also in 1948. Many other well-known English language authors, such as Ngaio Marsh, Fredric Brown, Carter Dixon, and Ursula Curtiss, are part of this series. As for Suneson, some of his novels were translated, but apparently not in French, Italian, or English. They were translated mainly in other Scandinavian countries, and in democratic Republics in Eastern Europe, such as predictably in the Czech Republic, always favourable to translations. In the GDR, his novel Fall nr. 44 was translated by the Volk und Welt Verlag, in Berlin, the most important publisher for international literature in the country. The series was interrupted in 1954, after 58 titles had been published.